The natural direction for heat is up and uninsulated lofts will lose a quarter of your home’s heat. This means you’ll be paying out much more than you need to on energy bills and creating more carbon emissions in the process. With the recommended amount of loft insulation you can slash your bills for 40 years, for little installation costs and a quick payback. Whether your home is uninsulated, or is in need of a top-up, read more to find out the savings you’ll make with our loft lagging guide. How much will I save with loft insulation? Loft insulation is a great way to save money as it’s installed with minimal hassle and payback is as little as two years. The Energy Saving Trust recommends loft insulation of 270mm in thickness to make the most from its heat saving abilities. And with this recommended level you’ll be saving up to £175 every year. Considering installation costs range between £100 and £350, payback is achievable in just two years. With loft insulation retaining heat and reducing bills for 40 years, you’ll see a brilliant return of investment on your purchase. As well as the financial saving you’ll make, you’ll also be benefitting the environment by reducing your home’s carbon footprint. With the recommended 270mm of lagging you’ll be able to cut emissions by around 720kg a year. Just topping up your existing loft lagging will help you save more money too, so it’s not just uninsulated properties that will benefit. Insulating your loft will retain heat in the home but will make the area above colder, which could result in pipes and water tanks freezing. This means they need to be insulated. With cool air in the loft you could find draughts creeping through the loft hatch. This too will need adequate insulation and draught excluding material can be fitted around the frame’s edge. 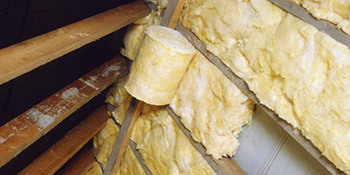 Cheap loft insulation is a great way to reduce your bills as most heat loss in your home is through the roof. Lagging helps to retain heat, cutting bills by up to £175 a year. If you’re interested in reducing your expenses and boosting your finances, complete our quick form and receive up to four FREE loft insulation quotes from vetted and reputable installers. Project: Insulation in the loft. There is currently not enough insulation and I am looking to find out how much would it cost to make it to standard and consider the options (usable loft space or not). We were unable to proceed as the cost was more than we had anticipated, but the company were incredibly helpful and gave good advice without any hard sell. Excellent. Very efficient, tidy worker and our home is so much warmer now. Sourced local specialist contractor that was unavailable via other similar sites. The below information illustrates the energy performance of properties in Uk. Energy ratings range from A to G, with A being the most energy efficient and G being the least efficient. The Energy Performance Certificate (EPC) rating factors heavily when attempting to sell your home, as possible buyers will see just how much they're most likely to be paying for their heating bills. House upgrades including insulation help to considerably boost a home's EPC rating. The information beneath indicates the different types of houses in Uk. Essentially the most commonplace houses throughout the United Kingdom are detached and semi-detached houses. Other kinds of properties encompass terraced houses, flats, converted flats and bungalows. The pie chart underneath indicates the proportion of properties within Uk which are central heated and non-central heated. Central heating figures within the vast majority of UK houses, which includes those on the gas grid and homes heated by oil and electric. The information underneath displays the spread of houses warmed by different fuels. Throughout the UK the most common by far are gas heated homes, followed by electricity and then oil. Biomass central heating boilers are also growing in popularity, heated by renewable products like wood pellets or agricultural waste.|Properties in Britain are heated by a number of fuels, which include gas, electricity, oil, solid fuel and LPG boilers. Each fuel has a varying cost associated with it and that means you can find yourself with cheaper energy bills by altering how your home is heated. Even solar thermal panels are being considered by many people as a way to cut heating bills for the years to come.